Massachusetts Drunk Driving/OUI penalties are among the strictest in the nation. This is due in large measure to the increased penalties and new, stiffer requirements created by Melanie’s Law in a variety of areas dealing with operating under the influence, including: Increased penalties for refusing a breathalyzer or blood test, entirely new and expanded OUI offenses , and creation of a state-wide Ignition Interlock Device System Law, required for OUI defendants who are convicted or plead guilty to two or more Massachusetts OUI offenses. Ignition Interlock Devices require an operator to blow into a dash-mounted breathalyzer unit, which will prevent the engine from starting if the breathalyzer measures blood alcohol content (BAC) of .02 or more. Once you begin reading below of the various Massachusetts OUI offenses that currently exist, you will see that the penalties for each offense increase, based on whether or not a defendant has a prior OUI offense in Massachusetts. Relative to this point, you should take note that Massachusetts OUI sentencing law now incorporates a "lifetime look back" provision, which means that the court is allowed to consider any previous Massachusetts OUI convictions at sentencing. A “conviction” for this purpose, includes any final disposition reflecting a plea of “Continued Without A Finding” (otherwise known as a “CWOF”.) This means that any Massachusetts OUI/DUI conviction that you might have received in the 1980’s (or even ‘70’s), which at the time you may not have thought to be very serious, can come back to haunt you if you are sentenced now: Any conviction you receive today, may be counted as and considered as a second offense, or moving up the ladder, potentially a 3rd offense, and on. However, where a conviction of a first offense is more than ten years old, it is possible that our office may be able to negotiate a sentence that reflects a first offense “24D” alternative disposition. If you have one prior conviction for Massachusetts OUI/DUI contact our office for a free initial consultation. We can advise you whether the facts of our case create the possibility of “24D” alternative sentencing options. Potential additional license revocation of 180 days. Under some circumstances, this additional penalty may sometimes be avoided if the defendant enrolls – and pays for - a special underage drinking program. If the defendant took a breath test and the result was .02 or higher, offenders aged 17-21 are required to enroll in a special alcohol treatment and rehabilitation program for drivers under the age of 21. This program is known as the "14 day second offender in-home program." If you have been arrested or are facing any Massachusetts OUI/DUI charge, whether for a first offense or subsequent, Contact us for a free consultation. We are extremely experienced in defending these cases, and we can advise you as to what you best legal options are. This law is aimed at multiple OUI/DUI offenders who are caught driving under the influence, after their license has been previously suspended or revoked for a prior OUI offense(s). A defendant convicted of this offense faces a mandatory minimum sentence of one year, and a maximum of 2 ½ years in a House of Correction. Fines range from two thousand five hundred dollars ($2,500.00) to five thousand dollars ($5,000.00.) In addition, defendants convicted of this offense will also lose their driver’s license for one year. If you have been arrested or charged with any of the above-listed offenses, contact our office for a free initial consultation. We are extremely experienced in defending against these new Massachusetts OUI/DUI offenses, and we can advise you as to the best legal course of action to take. Concerning Breathalyzer tests, blood alcohol tests, and Roadside Sobriety Tests, there are a variety of new laws and penalties that you need to be aware of. Click on any of those links in this paragraph, to be taken to our Blood Alcohol Content (“BAC”) Standards & Penalties. Regardless of the specific Massachusetts OUI/DUI offense that you might be facing, since you are reading this material, it is very possible that either you or someone you care about has been arrested or charged with a Massachusetts DUI/OUI offense. If so, you or the person you know is at a very critical decision point, concerning your choice of a Massachusetts OUI/DUI attorney. 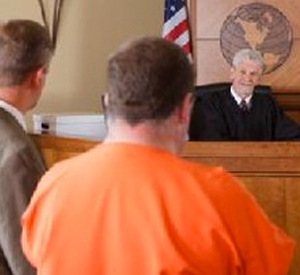 It is crucial that the attorney you hire be extremely experienced in handling Massachusetts OUI cases. Do NOT hire an attorney to represent you on a Massachusetts OUI/DUI charge that does not have many years of success in defending these cases. We know how to very effectively defend these cases, we’ve been doing it for years, and we have the successful track record to prove it. We don’t just defend you – we rescue you. Call or contact our office for a FREE INITIAL CONSULTATION. Don’t skimp on the Boston Massachusetts OUI attorney that you hire – make your choice of attorney on the basis of experience and results – not cost. The right choice is worth the expense.